A charging order is an order from the court that allows the creditor to place a charge on your property. This means the debt is secured against your property. The creditor will also require you to pay a monthly payment towards the debt. 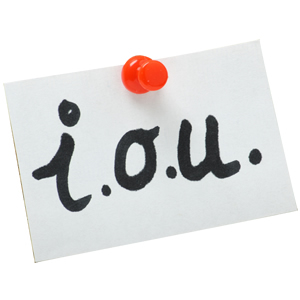 If you sell your house and you still owe money on that debt, the balance is paid off using the proceeds of the sale. The application for a judgment asks you to pay immediately or ‘forthwith’ and you have not asked the court to change this. If the creditor applies for a charging order you will first receive a letter telling you that the creditor has an interim charging order. This means that you cannot sell your house until the process is finished. You will also be given a date for a final charging order hearing in your local county court. You must attend the hearing as this is your opportunity to tell the court why you haven’t paid and to give them details of your financial difficulties. If you have received a Charging Order or your lender is threatening to apply for a Charging Order you should contact us as soon as possible. We can review your circumstances and help find you a debt solution for you. Our panel of specialists can quickly advise you on what to do if you have received a charging Order or have been issued with a CCJ. Simply call the team on 0800 088 2208. Alternatively take the online bankruptcy test and find your best solution.